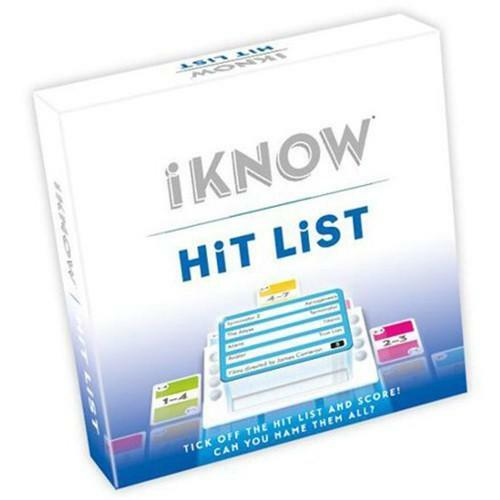 Fill in your details below and we will let you know within 24 hours if we can get iKNOW Hit List to you with haste! Players try to predict how many correct answers from the Hit List each player can name. Hit List subjects cover a large variety of topics. Correctly guess how many answers the other players will identify to gain bonus points. Features a handy score-keeping device.